Today, we’re very excited to bring you an interview with jewelry designer and blogger Allison Beth Cooling, from Quiet Lion Creations. 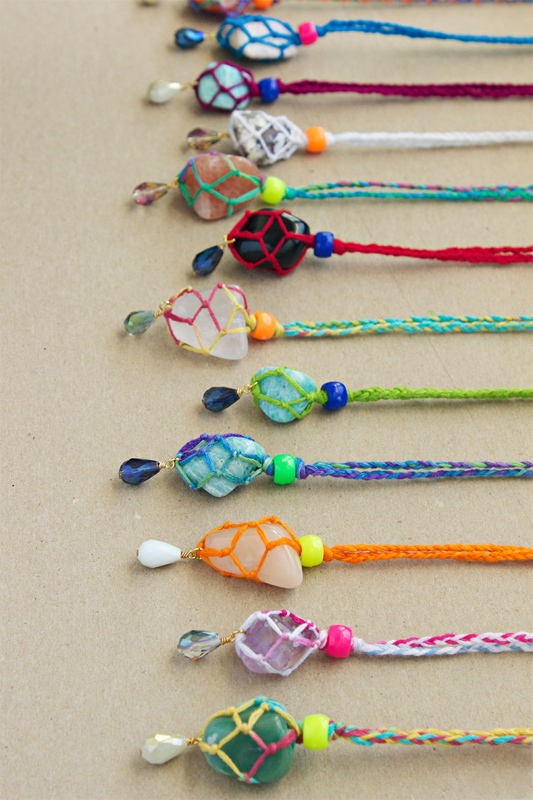 We’ve been following Allison’s blog for a while, where we’re regularly inspired by her beautiful handmade jewelry. 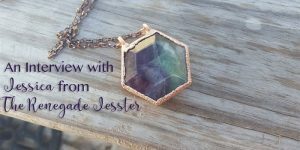 In this interview, we asked Allison to tell us about herself and what inspires her creativity in jewelry-making. Please head on over to Allison’s blog after reading this to see her stunning creations for yourself! I am from Chicago, Illinois and I am a graphic designer, photographer, blogger and jewelry designer. I have a BFA in Graphic Design from the Illinois Institute of Art – Chicago and love anything design related. I have been making jewelry since I was in eighth grade, and have since grown my business into a successful blog and online company. I feel that making jewelry allows me to create 3D representations of myself and my style, those that others can wear and use to express themselves as well. I started making jewelry when I was 13 years old. 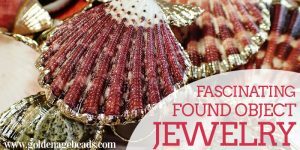 I was intrigued by a book titled “Basic Beadwork for Beginners” that taught readers how to create miniature beaded creatures (mermaids, flowers, animals and the like) and have never turned back. The first piece I made was a beaded miniature bunny, and I was definitely hooked on bead weaving. These pieces were more “figurines” than jewelry per se, so I would usually attach jump rings to make them into charms. Now, I have branched out to all forms of jewelry-making, and actually don’t make that many beadwoven pieces anymore! Traveling always inspires me. I don’t travel often, maybe once a year, but when I do, I try my hardest to take it all in. The sights, colors, textures and “vibes” of a certain place are always inspiring. I recently took a trip to the French Quarter in New Orleans and it was full of inspiration! Another place I garner inspiration from is fashion magazines; I always love to see the designers’ new collections and what they’re coming up with. Crystals, crystals, crystals. 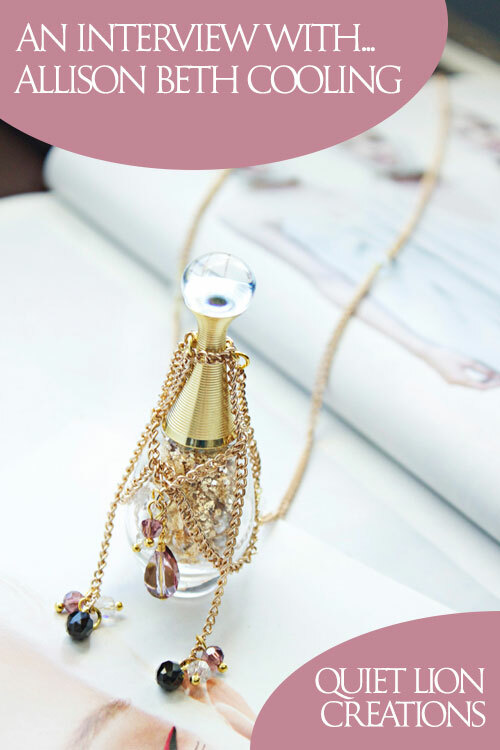 I am a sparkle addict – not like pink, girly sparkles, but rather a more boho-goth kind of look. Darker colors, black or deep purple/blue are my go-tos. 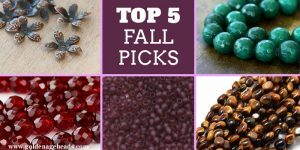 I’m all about that “dripping in gems” luxury look, and believe that crystals have a place in every design! What made you start your blog, Quiet Lion Creations? 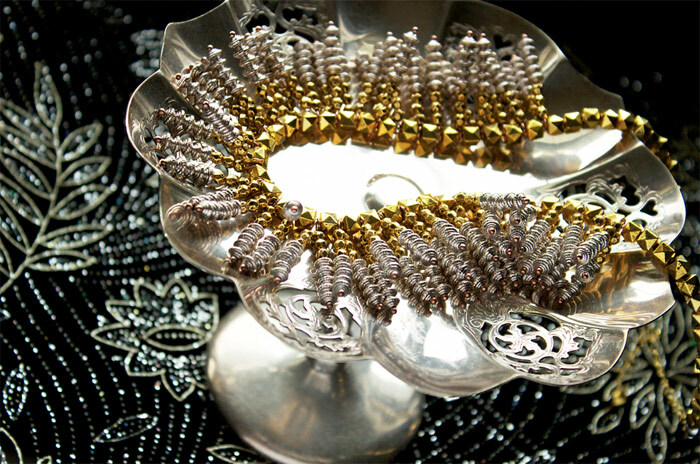 I started it in high school as a way to track and document all my beading endeavors. 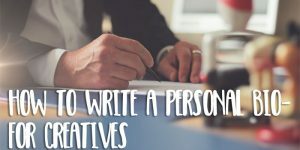 It’s grown into a DIY blog where I can now share my knowledge with the rest of the internet, and hopefully inspire my readers to branch out and try new things! 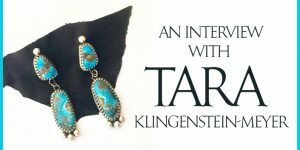 What is the most challenging part of being a jewelry artist? The most challenging part I think is trying to make a career out of it. I have good friends whose businesses are booming, and their lines are getting picked up by boutiques across the country. It takes a LOT of work, hard work, and a lot of networking. You’ve got to be very committed and responsible, and very strong-willed. I always like to see my designs published in print magazines. Here, I’m making this necklace in my little mess of a studio, and sending it in to publishers with the hope of it reaching to the rest of the craft world. If something gets published, thus being available to readers across the country, I consider it a victory! How do you see yourself and your handmade creations developing in the future? I would love to be able to do more jewelry shows. I am never the one to make a large batch of items – I prefer to make one of a kind pieces, just a little at a time – but I feel that branching out to craft shows would help grow my business. Jewelry-making can be EXPENSIVE!! 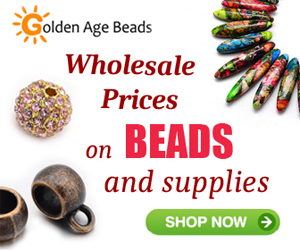 People may not realize it, but there are a lot of tools, findings, types of beads and stringing materials that you need to be able to make jewelry. When I started beadweaving, I only used seed beads (which are relatively cheap) and thin, 28 gauge wire. It kept costs down, especially since I was just a kid and wasn’t really selling anything yet. I’d say to stick with one style of jewelry and not try to do too much at once. Huge thanks to Allison for taking the time to answer our questions! You can connect with Allison on Facebook, Instagram, Pinterest, Twitter, Tumblr, Flickr and YouTube. If you’d like to buy some of Allison’s handmade jewelry, take a look at her shop here. We hope you enjoyed learning more about Allison Beth Cooling as much as we did. Please take just a moment to share this post with your social media followers! *All pictures are copyright of Allison Beth Cooling.